Watch out world - Lara's back, and looking better than ever, in the all-new, all-different Tomb Raider. 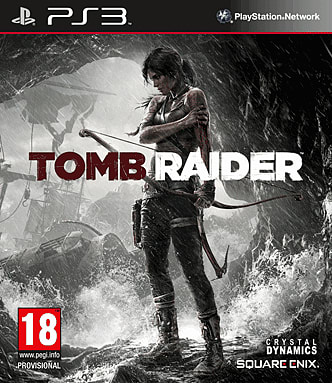 Her first game was released back in 1996 and since then the series has gone from strength to strength, firmly establishing Ms. Croft as gaming's most iconic heroine. But this latest instalment is billed as a reboot, designed to breathe new life into both the franchise and its star. In other words, to do what Casino Royale did for James Bond and Batman Begins did for Bruce Wayne. The good news is, it succeeds - and then some. The game is a prequel of sorts, set before the events of the other games. When it begins Lara is an ordinary young woman, taking her first footsteps into the wider world and yet to experience true adventure. But then the ship she is travelling on is hit by a violent storm. 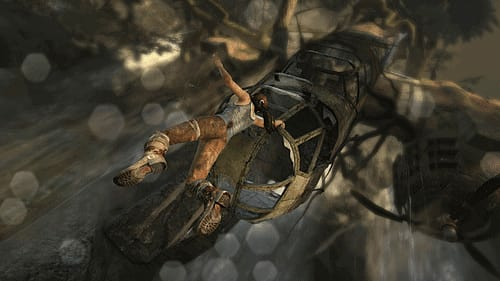 Lara finds herself shipwrecked on a strange island, separated from her companions and forced to fend for herself in ways she has never had to before. As the island's dark side is revealed and its murderous inhabitants make themselves known, Lara becomes involved in a desperate struggle for survival. In other words, this game is different to the Tomb Raiders of old that were very much about puzzle-solving and exploration. Those elements are in here, but they take a backseat to the combat. Lara quickly (perhaps a little too quickly) gets over her moral qualms about taking human life and starts defending herself with anything she can lay her hands on. This includes a crossbow and shotgun, amongst other weapons, including a pickaxe that can be used for stealth kills and up-close finishers. Without a doubt, this is the most violent instalment in the series yet. The kills are graphic and bloody, and some of Lara's own death animations are enough to give you nightmares. Even the environments are gorier than anything previously seen in the series - you'll still get to enjoy the odd pretty vista here and there, but there are also a lot of rotting corpses, piles of bones and pools of blood. Those who miss the good old days will be pleased to know there are also some atmospheric hidden tombs packed with tricky puzzles to solve. These are optional, which is a great innovation - no more getting stuck on a particular level because you can't work out how to open the door to the next one. The game has a cracking plot and moves along at a terrific pace, with some great action sequences and boss battles. There are tons of collectables to find, from XP and weapon upgrades to diary pages and historical artefacts. In fact the sheer amount of stuff can be quite distracting if you're just trying to plough through the main campaign, but completists will love it. There is an option to travel all around the island and round up anything you missed once the game is complete, which is a great touch. 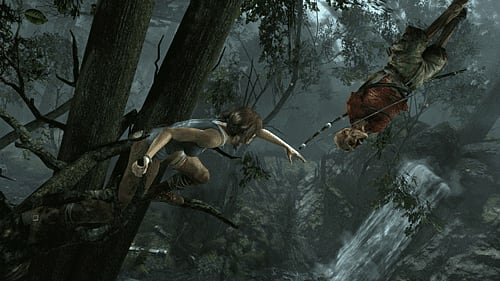 This Tomb Raider also has a multiplayer mode, a first for the series. It seems a bit superfluous but it's smartly put together, with all the typical match options you might expect. A neat addition, if one that's unlikely to drag your focus away from the main game. Anyone who remembers Lara from way back and is looking for more of the same may be disappointed - this really is very different to those old classics. And while there are lots of ideas here that are new to the series, there aren't too many that haven't been done in other modern games already. But this is still a great package, offering thrills and chills, fast-paced combat, gorgeous graphics and plenty of extras. It's good to have you back, Lara.